Why do you need install VPN for Kindle Fire HDX? Amazon Kindle Fire HDX is a great multimedia tablet, however as you may have already noticed that many features of Kindle Fire HDX are not available outside USA such as Amazon Prime and Netflix video streaming. So, you need a VPN for Kindle Fire HDX if you want to enjoy the full features of your Kindle Fire HDX in the countries like Singapore, Malaysia, Indonesia, Brunei, etc. In our buying Kindle book tutorial, we recommend PrivateTunnel as preferred VPN service, however for Kindle Fire HDX, you will need something more versatile, therefore we are recommending PureVPN for Kindle Fire HDX. It is a monthly subscription VPN service at a very affordable price, and the best part is, it comes with unlimited bandwidth, that's mean you can use as much data as you like as long as your subscription is active. This is exactly what you need for streaming Amazon Prime Video and other multimedia contents on your Kindle Fire HDX outside USA. 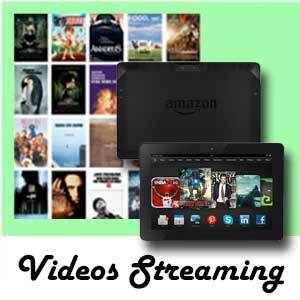 How to install VPN for Kindle Fire HDX. First, click here to choose your VPN service plan, if you are a Amazon Prime or Netflix Member or want to use it for unlimited video streaming, get a 12-month subscription is the most economic choice, it cost you less than a cup of coffee or latte at Starbuck a month. After making payment, you will received a welcome email from them, however, they would need some time to verify your payment before sending you the login id and password, it usually takes about an hour. Meanwhile, you got other things need to prepare, continue to read on. Contact their customer service via Live Chat or send a request email if Live Chat is not available, you need to request the VPN .apk app file for your Kindle Fire HDX. Since the Playstore is not available for Kindle Fire HDX, you will need to sideload this VPN apk app file onto your device for installation. They will send you the file via Live Chat or email. You need to enable your Kindle Fire HDX for third party app installation, simply go to your Kindle Fire HDX settings, tap “Applications” and turn on the “Apps from Unknown Sources”. 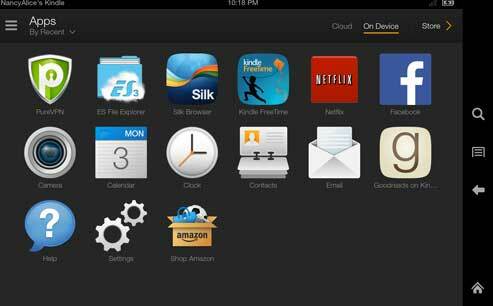 Make sure you have file explorer app such as “ES File Explorer” installed on your Kindle Fire HDX. Open the file explorer and create a new folder. Connect your Kindle Fire HDX to the computer and drag the VPN .apk app file onto the folder you have just created. Disconnect your device from the computer. On your Kindle Fire HDX, open the file manager again and open the folder containing the VPN apk file for Kindle Fire HDX. Tap on the icon and install it. Now your VPN Client for Kindle Fire HDX is ready for use. Once you have received the user Id and password, you just need to open the VPN Client and enter the user Id and password, you can select the server location (choose any of the US location). Tap connect. 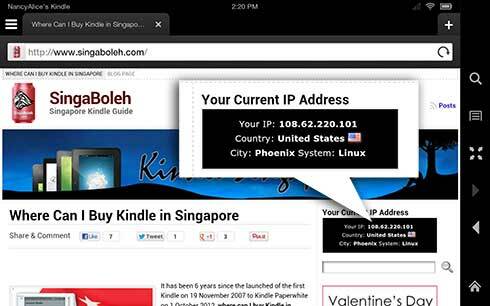 Once connected, open the Silk Browser and visit our website www.SingaBoleh.com, look at the right top corner to check the IP address of your Kindle Fire HDX, it should be showing “United States” or it no longer showing “Singapore”, that's mean your have successfully connected to the VPN. You can now enjoy smooth Amazon Prime video streaming on your Kindle Fire HDX outside USA such as in Singapore, Malaysia, Indonesia and Brunei. That's all of installing VPN for Kindle Fire HDX, of course, you are not getting this VPN service just for your Kindle Fire HDX. You can also use it to buy Kindle book on your PC, you just have to download the VPN Client for your Computer, it works on both Windows and Mac. Once you have it installed on your computer, you can use it to stream Amazon Prime video on your screen too! If you find this post useful, do support us by Facebook “share”or Google Plus. Cant work. When i go to purevpn app it doesnt seem to connect. If i use the vpn in the kindle itself, it works, but it says i have no wifi connection. Try to contact purevpn for technical support. Basicaly, if you just want to buy book, you can connect the vpn using the PC instead. If you’re watching Prime video, now purevpn comes with free smartDNS, you can setup the smartDNS in your router and connect your kindle to it, then you will be able to watch prime video on your kindle fire. How do you set up the smartDNS in the router? I just got the kindle fire hdx but can’t connect to the server. If you are using Unlocator smartDNS, you can check their setup tutorials here. How to install ES File Explorer when I can’t download app in the first place?